As for the question, you could start the free route and search if what it is you want is available right? 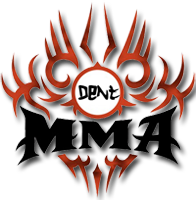 I have found this easily the best place with the widest choice of actively maintained torrents for mma and related stuff and well worth the donation investment. It is almost impossible for me to keep a positive u/d ratio so I am glad there is another way to support mma-torrents. Well worth the money I would say! I'm having issues with Skrill accepting my credit cards. It keeps activating the red star cluster from two banks I use regularly. Is there a PayPal option besides the Bit Coin method? Have you tried the alternative option Stripe (Stripe, not Skrill) that is available where you choose gateway on donation page? In the little drop down menu where you choose gateway, choose Stripe instead of Skrill. Most people have no issues with Stripe.